August and September are fair and flower-show times in much of the country. If you planted dahlia tubers this spring and are enjoying a bounty of beautiful dahlia flowers, you might consider entering some of them in competitions. 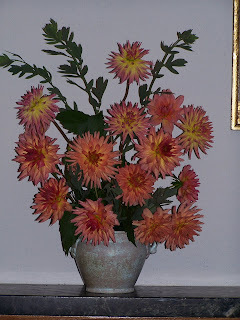 There are several sorts of events that offer the chance to showcase the best of your dahlias. County and parish fairs virtually all include a horticultural department, and in late summer, there are lots of dahlias on exhibit at county fairs. The categories in such events are often general: "dahlia" may be as specific as it gets. These shows are often good places for novices to begin exhibiting their dahlias. Entries usually include single flowers, with other categories for blooms of a single variety and for collections. Regional and state fairs, held in late summer or early autumn, may be a next step; they, too, often have open categories in horticulture. 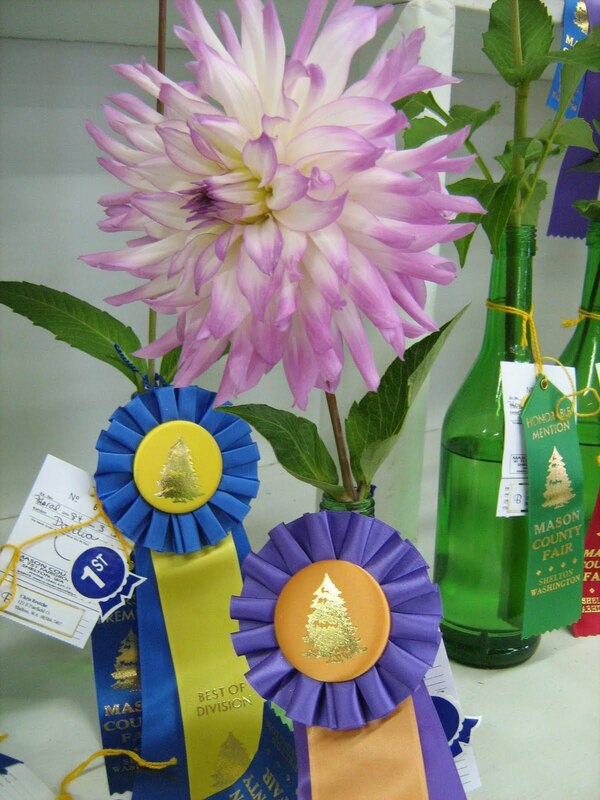 Flower shows lack the critters, quilts, cookoffs and carnivals that fairs include, but they give the novice exhibitor a chance to rub elbows with people who know their dahlias and they're great places to pick up advice on producing beautiful blooms. 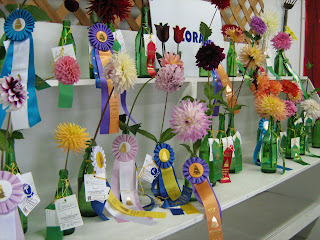 Both types of shows often include competition in flower arranging as well. Categories may include arrangements of a single variety, multiple varieties or even multiple species, and arrangements based on a particular shape or theme. In all cases, you'll do well to get hold of a premium book to determine what categories you want to enter, and to find out what guidelines there are. Some fairs and shows, for instance, require growers to supply their own vessels; others insist that all exhibitors use standard vases or bottles provided by the show organizers. Dahlia shows are held worldwide. They may be separate events or part of general flower shows. Often they are sponsored by local dahlia societies (also sometimes called dahlia circles or dahlia clubs). In Canada and the United States, there are over 70 dahlia societies associated with the American Dahlia Society. The earliest groups were founded in the late 19th Century. If you're not up for entering this year, visit a fair and see if you aren't inspired: the entries are beautiful, and you, too, can grow dahlias just as lovely. Need more inspiration? Check out the August preview of Lynch Creek Farm's dahlias for 2012.